Stony Brook Gardens was the first project completed in Pennsylvania under the new PHFA "Green Communities Criteria". Stony Brook Gardens Apartments has taken a step forward by meeting the Green Communities Criteria and providing affordable housing while minimizing its effect on global warming, pollution, deforestation, resource and ozone depletion, and toxic waste. 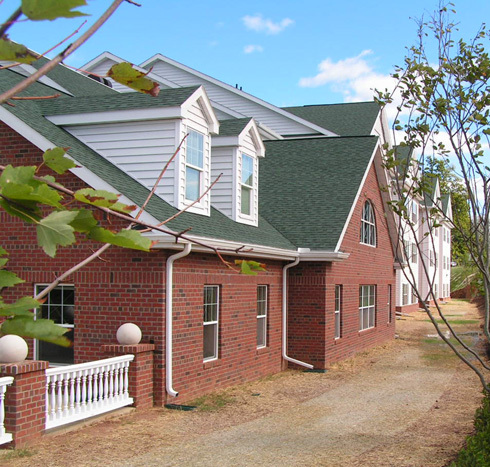 Stony Brook Apartments is a compact development with 84 apartments on a 2.53 acre tract of land. The goal is to integrate site, design, building function, and construction strategies to minimize environmental impact while providing human comfort and operational efficiencies.